A few months ago I found an audio mix of some music, they were some oldies, and I wasn’t so familiar with them, but I needed to update my old playlist with these cool songs. I spent hours trolling the internet, hoping I would get them downloaded, but the funny part is that I could only recognize the artist’s voice from the audio mix and rely on my guesses for the music and album titles. Hopeless! Right? That’s where MP3 cutter software steps in. I knew I had to split the audio mix, so instead of hunting for music on the internet, I adjusted my search to “how to split audio files into tracks?” I found a forum that recommended I use an audio cutter software, amidst the several apps that were suggested to me, I tried one of them, and I was thrilled. I guess this experience gave me a new hobby because I downloaded some other audio cutter apps and used them to join some music tracks and also split up almost every mix I have found into tracks, testing their abilities and functions. You might have a different need for the audio cutter software; you may need them to split audiobooks into chapters for easy listening or those podcasts and digital recordings that are occupying a lot of space on your computer, either way, you would always need an audio cutter software. 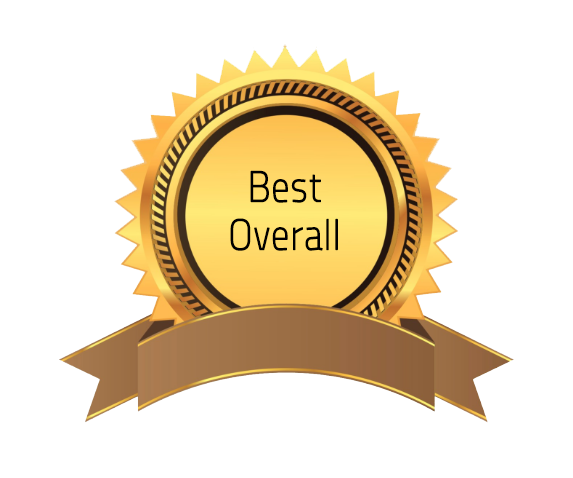 So I’m thinking, you may have some opinions on mp3 cutter software, but I would share the knowledge I have on them by writing reviews on some of the apps I have used, you may find them useful too. How You Benefit from MP3 Cutter Software? Who Should Use MP3 Cutter Software? How about a ringtone with a fast beat of a song that can change the mood of your environment every time your phone rings? You can create a different ringtone for yourself that would begin with a part from a favorite song, or remove the unnecessary intros and outros that can frustrate your musical flow. The MP3 cutter software can also be useful to split up your podcasts into tracks, so you can have an organized audio library and enjoy your songs the way it suits you. If you ever wonder how to keep those large digital recordings, the MP3 cutter software gives you that opportunity by cutting out the parts of the audios that are eating up so much space in your computer. The software also takes away the inconveniences of skipping to the part of the sound you need. More than just music, the audio recorder software also allows you to have better access to your educational or inspirational audiobook, by giving you the chance to categorize them into chapters or sections. 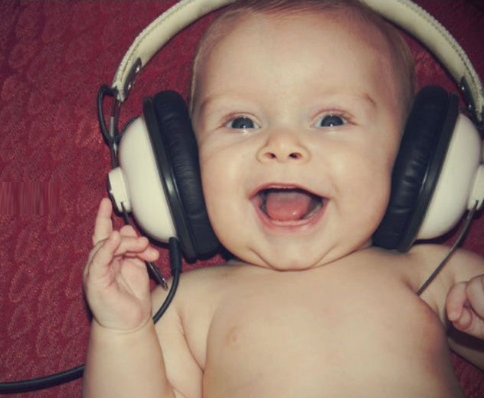 In general, the MP3 cutter software saves your time, by allowing you enjoy and make better use of your audio. If your career deal with anything related to making audio, editing audio or using sounds, or like me you like to have fun with your music, then the audio cutter software should be installed on your computer. and several others that relate to these. I began by downloading and installing the MP3 Cutter Software. I added the audio file, selected the parts I wanted to split, tested the ability of the software to cut and also join audios, then the formats with which I can export them. After which I wrote a detailed review that includes Pros and Cons for each audio cutter software. You may need with a piece of a song to add some excitements to your exhibitions, presentations, or the welcome theme of your website, but when you search for MP3 or Audio cutter software, you will find several of them. From my experience with cutting and combining sounds, I have ten apps I am reviewing that are recommended to work miracles with your audios. The first software I would review is the MP3 cutter joiner free, as the name connotes, this app is free, with no limitations or sign-ups. Being free, you can also use it to take records with your computer and adjust your recordings to how they suit you. With the MP3 Cutter Joiner Free, you can split up large audio files, enhance them and join pieces of these files to form a brand new music, and while you do this splitting, all you need to do is select the length you want to keep and accurately get it trimmed, it is so easy to use. Don’t get discouraged with the “MP3” in the name of this software; you can import any format of audio and export them in key audio formats so that they can be played on any music player. Free, no limitations or sign-up required. Doesn’t have enough editing capability. I recommend the Mp3 Cutter Joiner Free for music lovers; it presents the audio in a waveform where you can zoom and scroll to view the sound fragments that you want conveniently. You can bother less about errors you have made during your edit; it can undo and redo actions. 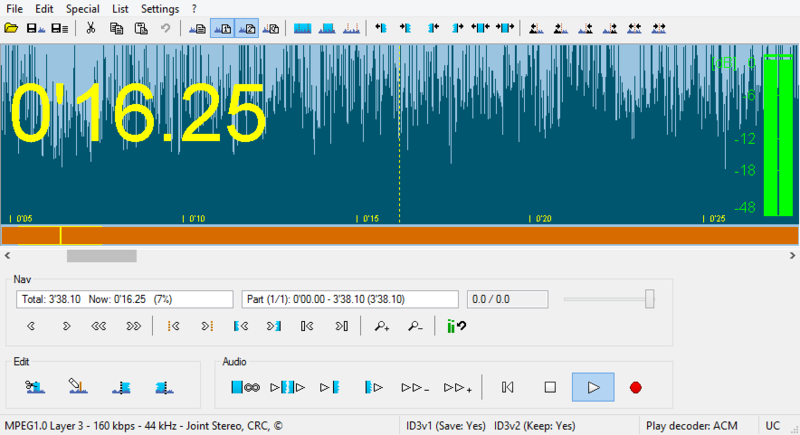 MP3DirectCut is another free MP3 cutter software you can use to trim the sizes of podcasts, or when you want to remove their pauses. It doesn’t come with any unnecessary extra software, and it is ads free. Unlike some other Audio cutter apps, you don’t have to re-encode any file, and it is also built with several cutting tools. If you work with waveforms, then I have to warn you, it may not be so accurate, and I think the interface of the MP3DirectCut is a little odd, but it gets interesting once you get used to it. I like the MP3DirectCut; it has some advantages that other MP3 cutters lack, one of them is that, when I want to remove pauses from my podcasts, the software automatically detects breaks. Another advantage is that after cutting audios, I could save them in PCM formats, so they take up less space on my computer. Just as the name connotes, Free MP3 Cutter Joiner has two core purpose, split and join MP3 files for free! It also doesn’t require any one-time payment; you can install them either on your Windows or Mac OS. Unlike some other free programs, the Free Cutter Joiner doesn’t contain any annoying popup ads or inappropriate content so that it can be used by anyone, regardless of their age. Free MP3 Cutter Joiner is suitable for newbies; it is a straightforward software, easy to install, with no extra confusing features. If what you need is a light and straightforward application with that wouldn’t pressurize your RAM and also wouldn’t often require updates, then your pick would be for the Free MP3 Cutter Joiner. 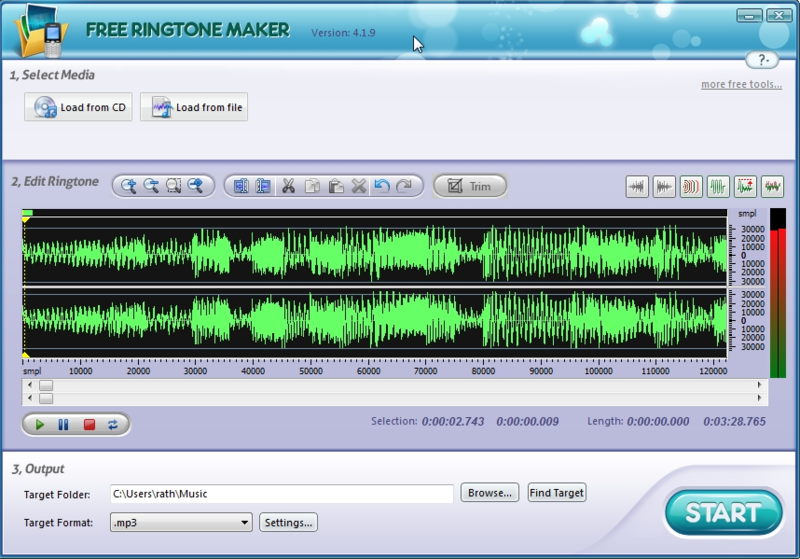 Free Ringtone Maker is popular audio cutter software; I would call it one of the best application you can use to create ringtones mainly because it after trimming or splitting your music, you can export them in formats that are compatible with your phones like MP3, MAR, OGG, AMR, and WAV. After you have downloaded and installed the Free Ringtone Maker, it wouldn’t require an internet connection to cut or join files, all you have to do is select the length of the audio you want from the timeline and remove the rest. I recommend the Free Ringtone Maker because of it is easy to use, and you also have fade-in and fade-out options to make your ringtones sound original. Top MP3 Cutter Joiner is another software that music lovers like you can enjoy. The user-friendly interface would not intimidate you even if you are a newbie, so you can use this app to create your mash-ups. The main feature that differentiates the Top MP3 Cutter Joiner from other audio cutter software is that this application is built with an advanced LAME Encoder and OGG codec for you to export your edited audio files in different quality levels. Apart from supporting MP3 and OGG, it also supports WMA and WAV files, so you don’t have to bother about downloading for a converter. I do not recommend the TOP MP3 Cutter Joiner. It does not provide any editing features or effects. It even has an obvious spelling error on its UI. Save your money because it’s not worth it. 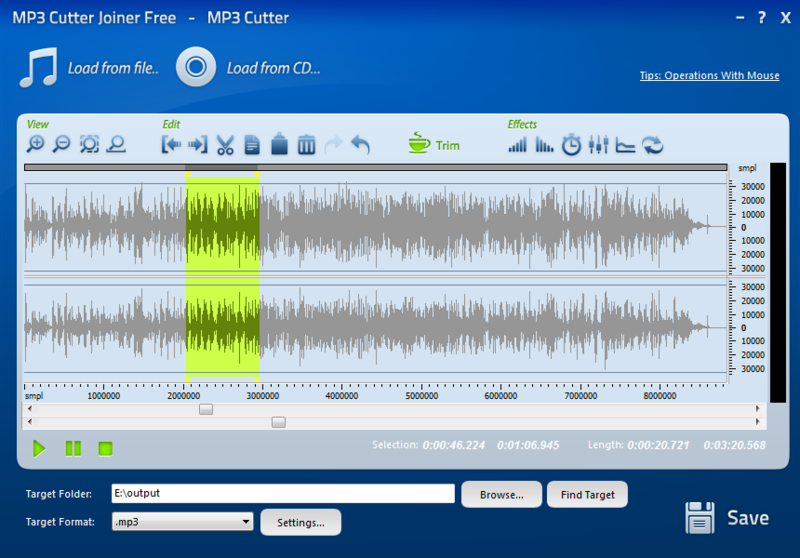 Fast MP3 Cutter Joiner allows you to cut and trim large MP3 files of up to 10 GB. Using the batch cut function of this software, you can cut a batch of MP3 files at a time and also combine multiple MP3 files to make a single MP3 file. You’ll find this software very easy to use even without any prior knowledge of MP3 editors. 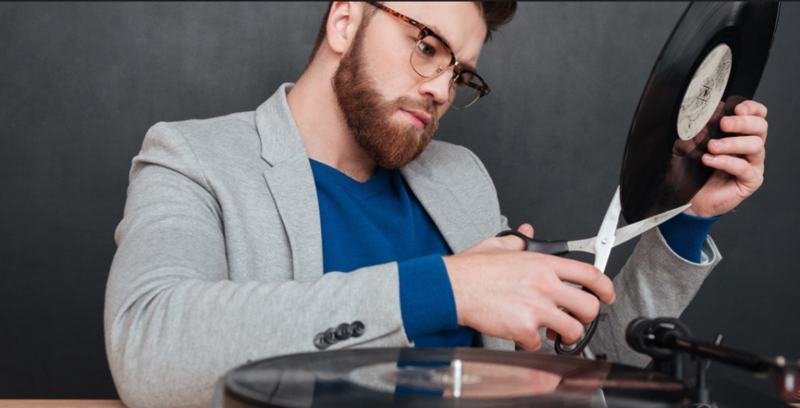 A very cool feature of Fast MP3 Cutter Joiner is that it maintains the audio quality of your MP3 file even after an extensive cutting and trimming. The batch cutting is a highlight. 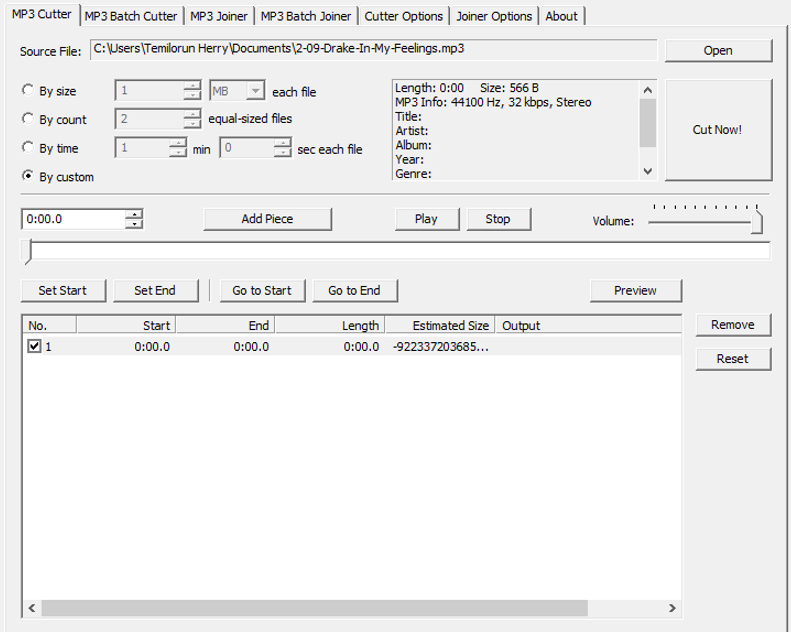 Power MP3 Cutter Joiner is a simple software that lets you cut and combine MP3 files in different formats. This software cuts and join audios but does not have any audio editing capabilities whatsoever. Although very easy to use, Power MP3 Cutter Joiner doesn’t do much else other than just cutting and combining audio files. You can find better applications out there that can do everything this software can do and still offer you so much more. Visual MP3 Splitter & Joiner allows you to split and join your MP3 and WAV files efficiently and accurately by drawing your audio file in waveforms. 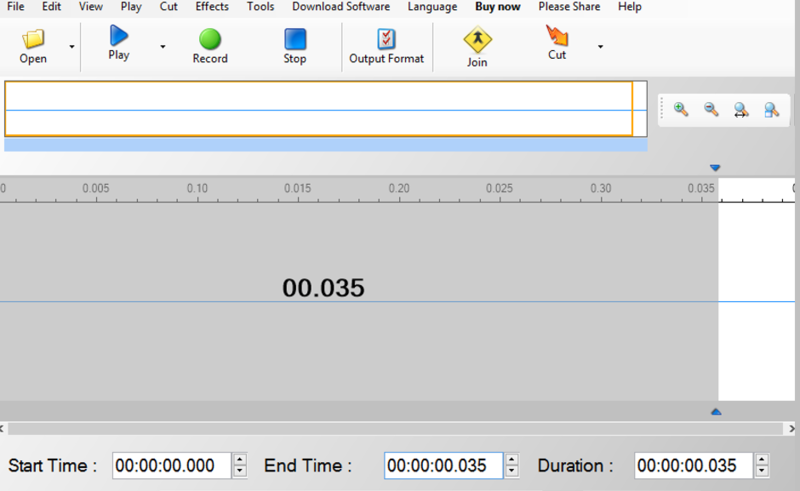 You have two different modes of cutting your audio files: One-Click Splitting, which lets you quickly and roughly split your sounds; and the Precise Marking, which requires more clicks but allows you accurately cut your audios by as little as 0.01 second. 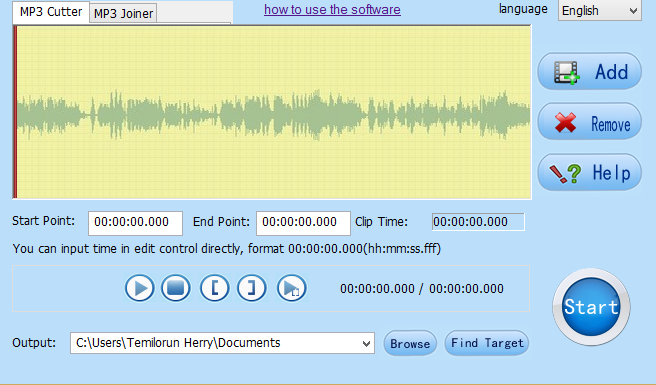 This application lets you precisely cut and combine your audio files. It works directly with your audios which means the files appears in seconds – which you can preview in the software’s built-in player. Elaker MP3 Cutter Joiner is a useful but simple-to-use software that lets you cut and combine a wide range of audio files formats into a single file without losing its quality. Using the fade-in and fade-out effect, you can create lovely ringtones for your mobile devices and preview all your work in the software’s built-in player. With a simple interface, this software remains very powerful and capable of meeting all your audio trimming and combining needs. It supports most audio formats, and you can cut songs in different formats at the same time. Simple MP3 Cutter Joiner Editor lets you do more than just merely cutting and combining your audio files. This software enables you to include several effects on your audio file as well, such as the fade-in and fade-out effect, changing the tempo of your audio file, noise reduction, normalize, and so much more. The software shows your sounds in its waveform allowing you to accurately and precisely cut your files. This software supports various audio formats unmatched by other audio cutting tools. You can also apply some cool effects in this software unavailable to other similar apps. So from this review, you would agree with me that the MP3 cutter software is an important assistant to anyone that deals with music. 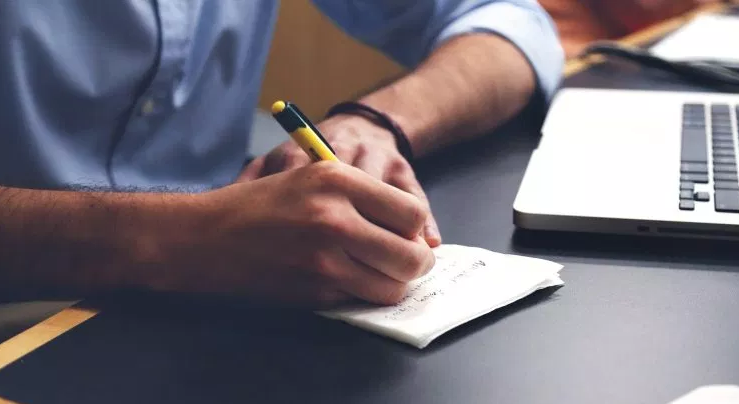 Not only for music lovers, but it is a tool for writers who make audiobooks; it can be used to adjust your ideas or books into sections to help create more sense to your listeners. Best Overall MP3 Cutter Software? MP3 Cutter Joiner Free, it is precise, and it is also built to support more audio formats than any other software. Best Value MP3 Cutter Software? 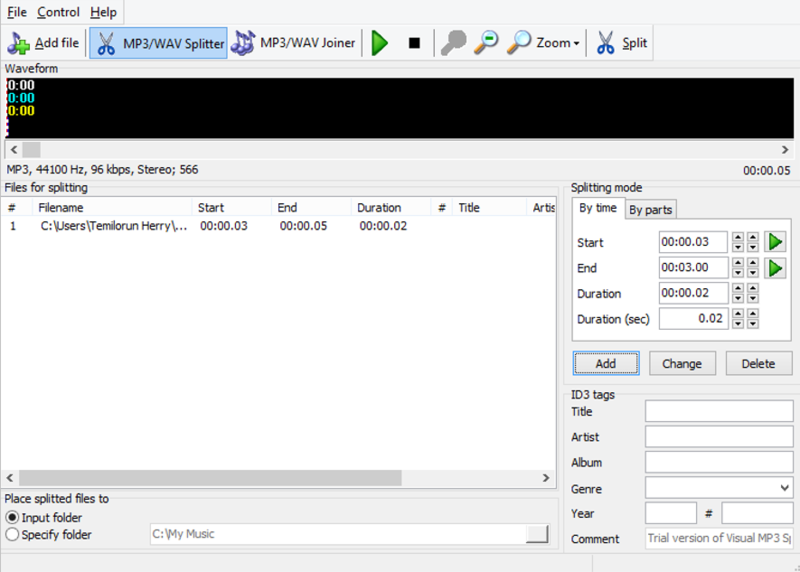 I would recommend Simple MP3 Cutter Joiner Editor because it does way more than just cutting and combining audio files. Best MP3 Cutter Software for Beginners? Free MP3 Cutter Joiner, the basic purpose is splitting and combining sounds, no extra distracting feature!